L.L.L4L.L.L. 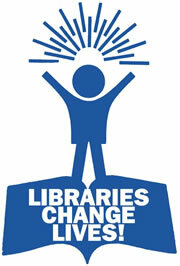 : Keep your local members aware of the importance and value of school libraries. Keep your local members aware of the importance and value of school libraries. Three members of the School Library Association of NSW visited local MP and Minister for Women, Pru Goward last Friday 23 March to let her know their feelings that Local Schools, Local Decisions is a policy which does not improve student outcomes and results in the loss of specialist teachers, such as teacher librarians. They were President, Bill Sommerville; Committee member, Georgia Phillips; and member and ISLA president, Di Ridley. School autonomy has now been shown to increase social polarisation, competition and disadvantage. It transfers responsibility for staffing and funding from governments to principals, and increases their workload. It will compromise the state-wide transfer system to the disadvantage of rural schools. Other states which have brought in this policy have rationalized school staffing under decreasing budgets. Since bringing in school based management (SBM) in the nineties, Tasmania has only 23% of K-10 schools with qualified teacher librarians (TLs). In Victoria, since Kennett’s version of SBM was introduced in 1993, only 13% of primary schools now have TLs. In the ACT, SBM began about 1997 and now only 50% of primary schools have qualified TLs. WA is now beginning to lose TLs in secondary schools under their Independent Public Schools program. In NSW, the Minister of Education has announced pursuit of the policy of autonomous schools. Already teacher librarians are not being replaced upon retirement and positions are being lost under National Partnership Agreements which allow flexible staffing. Recent Australian research shows the link to higher NAPLAN literacy scores. (Softlink, 2011). In this National Year of Reading, we ask you to visit your local member, if possible with a P&C member, to present the case against government school based management and for continued core staffing of teacher librarians and dedicated funding to school libraries, especially in areas of social and economic disadvantage. The full background briefing paper is available from gphillip@bigpond.net.au which can be left with your MP or MLC, along with a copy of the professional standards and the URL of the Report of the Inquiry into School Libraries and Teacher Librarians with questions which arise for state governments. State parliament sits next week Mon to Wed. then is in recess until Tues 1 May, an ideal time for you to meet your member in these school holidays. Please let us know how you go. NSW schools thank you. * A comprehensive summary of the research from 1993 to 2008 is contained in the Scholastic Research Foundation paper School libraries work! : updated 2008, at http://listbuilder.scholastic.com/content/stores/LibraryStore/pages/images/SLW3.pdf . The literature survey by Australian academic Dr Michelle Lonsdale, gives a summary of the research 1990 to 2003. See http://www.asla.org.au/research/Australia-review.htm for the full report. May and reading time!! May all of us read more!! School Library's are vital. Stand tall!! Quality, digital kids reads for iPads.